Hi, I am Angelo, Flyfisher since 1986, I live and work in Pieve di Cadore, in the heart of the italian Dolomites. 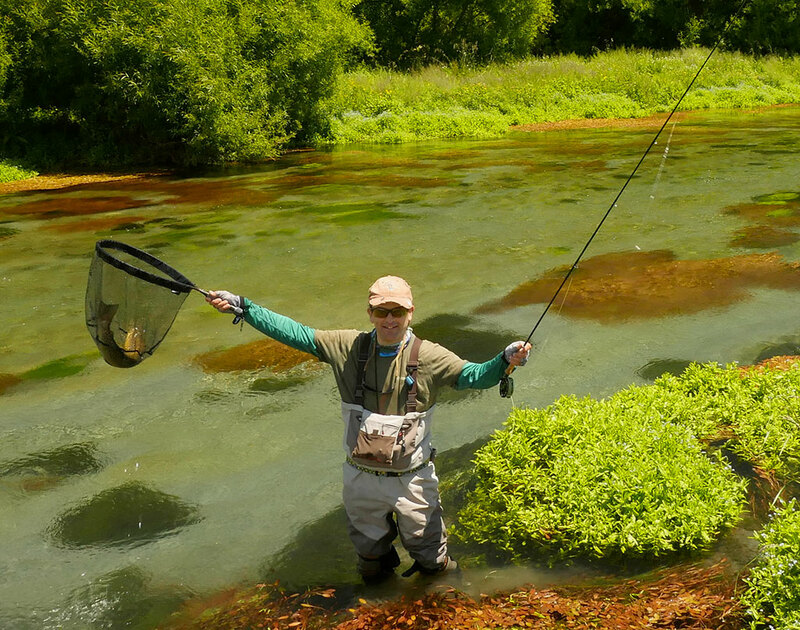 My strong passion for fly fishing has given me a good experience, especially in the northern venetian region and in the austrian and slovenian rivers. I am the director of Reelvideo, the only italian fly fishing magazine made on DVD. I have partecipated in many fly fishing documentaries broadcasted by Sky fishing channel. I fish with dry fly, nymph and streamer, choosing the best technique for every different situation. Freshwater and saltwater too.I love to tie my own flies: for seven years I've been fly tier instructor at the Fly Fisher Club of Milan. I have partecipated in different fly tying competitions. Now I am invited only as a judge. Recently one of my flies has been published in the well known book: Tying Emergers! I have just created a Fly Fishing V-log Channel based on fly fishing, including reviews, travels, teaching, tips, etc. I am a Certified Flycasting Instructor EFFA and FFF and operate as a fly fishing guide in the Dolomites. My holidays are fully dedicated to this. I love to make experience in other countries: Canada, Iceland, United States (Alaska, Cape Cod (Mass), Montana, Florida Keys), Germany, Croatia, Bosnia, Cuba, Spain, and Venezuela. New Zealand is my favorite country for fly fishing, I have been there six times. From Cortina I often go fishing in the near Austria and Slovenia. I belong to the editorial staff of PIPAM the italian fly fishing web site since 1995 and have written articles for different italian fly fishing magazines and one for Fliegenfischen, the well known german fly fishing magazine.I speak english and german. I'm so excited to be part of the Wild Society App Ambassador team!